For the past couple of decades, Brazilian Jiu-Jitsu has been spreading like wildfire, gaining worldwide recognition and becoming the most well-known submission-orientated combat style among the grappling arts. Since modern mixed martial arts opened its doors to Brazil’s concept of Jiu-Jitsu, the style has been put to the test against other extremely effective grappling arts in a variety of point systems and promotions. Jiu-Jitsu is one of the most important elements of the sport, and many grapplers have made the successful switch from the mat to the cage. On March 24, 2018, a Brazilian Jiu-Jitsu legend will make his debut as a mixed martial artist inside the ONE Championship cage. Garry “The Lion Killer” Tonon, 26, of New Jersey, United States has racked up a boatload of accomplishments as a celebrated grappler. Now, he is ready to take his talents to the ONE Championship cage to begin an MMA career. Tonon’s journey as a professional mixed martial artist commences as he is slated to make his debut in ONE Championship, taking on Filipino stalwart Richard “The Notorious” Corminal, 36. They will face each other at “ONE: Iron Will,” which takes place at the Impact Arena in Bangkok, Thailand. Born in New Jersey, Tonon had his grappling training at the Ocean County Jiu Jitsu academy, which was located near his New Jersey home. He trained under the tutelage of Tom de Blass. In September 2013, Tonon’s hard work on the mat finally paid off as deBlass and Almeida awarded him a black belt in Brazilian Jiu-Jitsu. 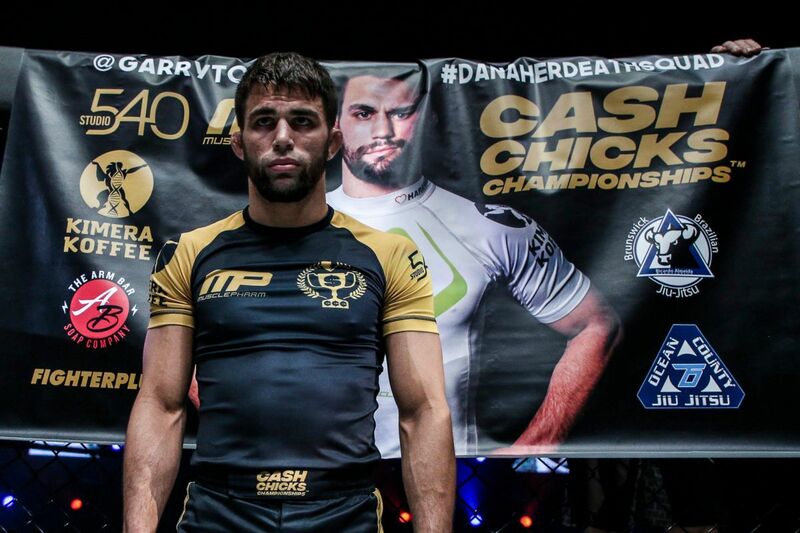 Shortly after, Tonon’s professional grappling career began as he would later win multiple titles at the Eddie Bravo Invitational and Metamoris professional grappling leagues. As for Corminal, his basic foundation as an MMA fighter is Muay Thai. As the breadwinner of his family, he had to leave the Philippines and work as a Muay Thai trainer at MuayFit, one of the top MMA gyms in Malaysia. Training out of MuayFit, Corminal is now based in Kuala Lumpur, Malaysia,. He holds a professional record of 4 wins and 3 losses, with each of his career victories to date coming by way of knockout.